Super Reef Octopus In Sump Skimmer 6" Protein Skimmer from Reef Octopus. High performance with quiet operation. 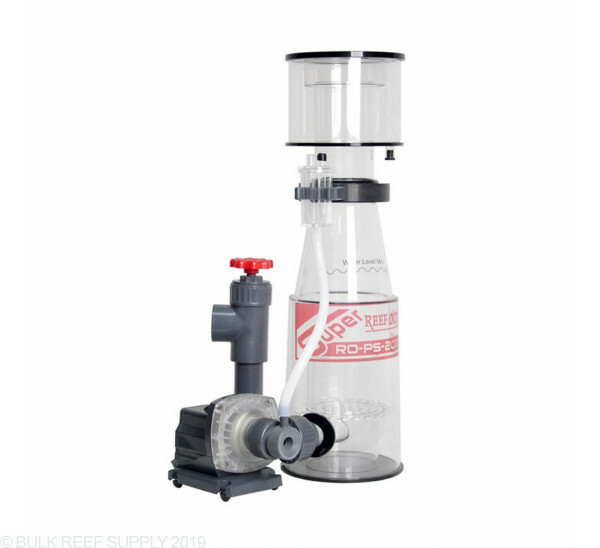 the in-sump skimmer comes with 2000 Bubble Blaster pump feed pump and the refined hybrid cone design reduces and stabilizes foam production resulting in less turbulence in the neck area and more time for the organics to rise and collect. 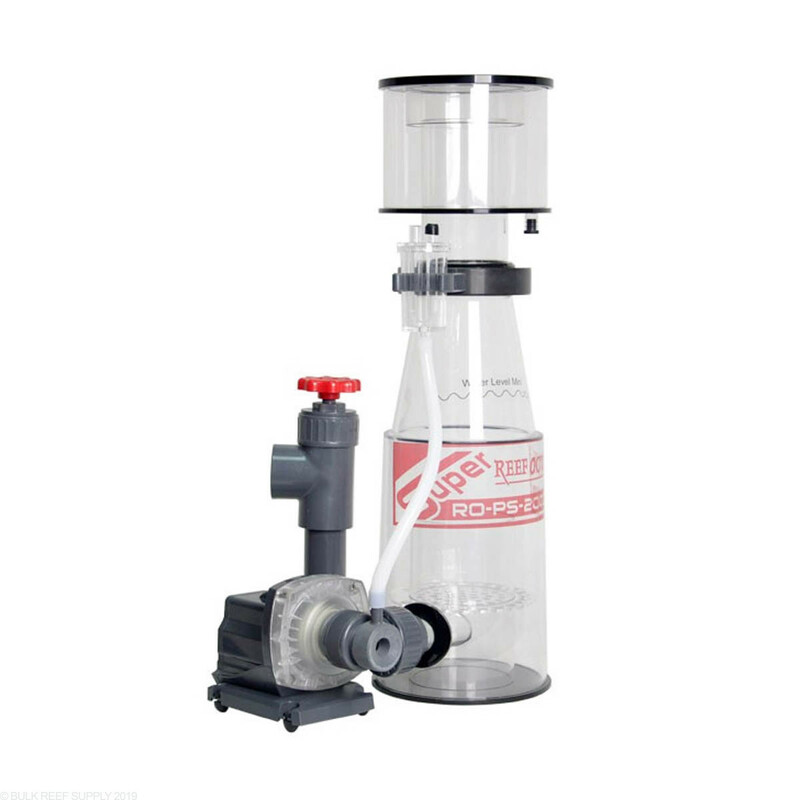 Note: Recommended Sump Water Depth: 6-6.5"
Aquarium set up will determine air and water results. It is powerful with very dense foam production. It's as quiet as any AC powered pump (neither quiet nor loud). It's very easy to dial in with consistent skimming. However, very few sumps accommodate a water depth of 6-6.5" and I had to modify my sump for it. I would definitely recommend with its foam production. I specially built my sump around this skimmer, and I used ceramic bio plates to achieve it's desired depth, and I am thoroughly impressed. The neck is wide enough to get my hand in to clean the main body, and it is super easy to dial in. I also have the automatic neck cleaner and the marriage of these two products is well worth the price tag. This was an upgrade to a older GSM skimmer that came with my 150G DT when I bought it used. That old skimmer worked great for about 2 years, but I had no idea what I was missing out on. The new SRO was pulling better gunk by the third day, and I am still getting in dialed in since the break in process in ongoing. My only small complaints are the footprint and the depth of water the SRO work in. Both are minor, and the height issue was easily overcome by using bio-bricks under the skimmer. Now I will have skimming and extra bacteria growth in the same chamber of the sump. Installed this skimmer in my sump,adjusted it and it is already pulling nasties. Well built and visually pleasing. I have an open stand. One thing is this skimmer is BIG. I have 25 inches from sump to tank and had to install skimmer body then pump and gate valve then collection cup. This was my first purchase from brs and I am very pleased. Great packaging great product great company. 5 stars all the way.